If you’ve been reading this blog for awhile, you might remember a post I wrote recently called Why Attention is the New Currency Online. When I wrote it, I had been working to create a process to audit website conversions. Ultimately it turned into an article about capturing attention online because without attention there would be nobody looking at your links, images, videos and compelling content. And without people reading your content, you certainly won’t get any clicks. When people read your content online, links and clicks follow. However; you don’t want just any click, you want qualified prospects clicking on your links, visiting your website and consuming your content. Let’s be clear, getting attention is only part of the equation to help you increase conversions but it does not automatically equals to conversion. For those of you who don’t know why qualified traffic is important, let me just say that if you want to increase conversions of your landing page or your ecommerce store, this is crucial. How does the value of a conversion relate to the return on investment of a marketing campaign? Basically a conversion is an action a user takes on your site that has value to your business. Typically it’s a sale but it can also be a newsletter sign-up, a download of a file, viewing of a video, or a request for more information. If you know what a conversion is worth to you, and the percentage of traffic visiting your conversion page versus the traffic that do convert (the conversion rate), then it is easy to calculate your return on investment (ROI) for just about any marketing campaign. From the calculations above, you may think that if you want to increase ROI, you just need to increase CR right? Qualified traffic – The goal is to capture only traffic that’s more likely to convert. This is where direct marketing is heavily used to grab the attention of the visitors. A valuable piece of content, a paid search ad or recommendations from social media channels are just a few ways you can use to obtain qualified traffic. Landing page – A landing page is a specific area of your website where traffic is sent (via links from online advertisements, organic search results, social media or email) specifically to prompt a certain action or result. And since a visitor usually lands on a page after clicking on a link, it’s important that the links you use to send traffic to your website is relevant to what that person is looking for. Once on your landing page, it’s basically a tactic of one-on-one selling so if it’s not what people are looking for, you will likely get a low conversion. There are tons of strategies to get qualified traffic (paid search, SEO, email, display, affiliate, etc. ), but today we’re going to look at things that you can do to your website to help you improve your conversion rate. These tips are easy to implement and can start improving your results immediately. I’m going to give you my recommendations, I also want to share a few principles that I believe are crucial in building a website that attracts thousands of high quality links. The following steps can also be used for your landing page audits. Use a simple scorecard format to quickly determine what you may need to do to increase your conversion rate. The most important thing that you can do to increase your conversion rate is to know who you’re targeting and tailor your content for that person. When a new visitor lands on your site for the first time and clicks on a link or goes to your product page, and doesn’t buy anything (or fill out a lead form), then you’ve probably lost them for good. In my own testing I’ve found that addressing your message to a specific demographic can give you a nice life in conversions. In fact, when I tried to cover as much features and benefits as possible (thinking that’s just adding value), I tend to get less clicks and low conversions. A landing page is tailored to fit the specific call?to?action (that you designated) and is often the first page a visitor sees when clicking on a link. The challenge is to ensure that you are optimizing an exceptional online experience for visitors and also producing high ROI. So what is considered an exceptional online experience? It’s basically providing visitors with accurate, relevant and useful information to meet their needs. But do it in an entertaining and engaging way to differentiate yourself. None of the bait-and-switch tactics or hype that’s overpromised and under-delivered. A positive user experience usually focuses on a single message with a strong call-to-action that are written in plain language with no more than 7-12 words. Don’t make the mistake of trying to combine all the features and benefits of your offer, instead focus on the highest value outcome. Once you have a clean and precise message, you can make it credible with branding elements such as logos and security icons (third-party verifications) or use stories and testimonials. This will give confidence to the visitor which can have a positive impact on conversion as well. Perfecting, or at the very least improving, customer experience has replaced customer loyalty as the ultimate corporate PR and brand reputation. Put yourself in your visitor’s shoes and ask: would I scroll down and read this? Would I fill out this form and give my personal information? Why would I click here? A value proposition is basically your offer. What are the main selling points? Why should the visitor buy right there and then? It may sound obvious to you but a clear value proposition is the foundation to your conversions. Your landing page should address the top questions and concerns prospects have about your offer. And it usually goes back to the four Ps of marketing: product, price, place and promotion. Too often, marketers focus too much on “promotion” instead of combining the other three Ps. You may find after studying the competition that increasing or decreasing your price is likely to result in better conversions, for example. Perhaps there is a distribution channel, such as the social networks or email marketing; you haven’t fully integrated into your marketing mix. And with products, developing a new product or re-package an existing product may provide a lift to your overall conversion as well. You are likely to increase the chance of conversion if you have a clear value proposition that pushes the visitor to take action with your offer. Ask yourself whether your landing page is helping people to make their decision. Don’t forget to research your competition so you know how your value proposition stacks up. The new consumer-led digital revolution is all about exceeding customers’ expectations via influence. Simply put, influence is conversion rate. What doesn’t get read doesn’t get clicked on. This is a simple logic that many marketers failed to recognize that there is a fundamental difference between people reading online and offline. Unlike traditional media or what he calls “linear media” such as print and TV, people expect you to construct their experience for them. Basically readers are willing to follow the author’s lead. However websites are considered “non-linear media“, where the rules reverse. Users want to construct their own experience by piecing together content from multiple sources, emphasizing their desires in the current moment. In fact, Dr.Jakob conducted an eye-tracking study and found that people are read in F-shaped patterns when reading web content. This is why you should use attention call-outs such as headers, subheads, paragraphs, and bullet points with words that users will notice when scanning down the left side of your content in the final stem of their F-behavior. The idea here is to layout your content so the readers will WANT to read but keep in mind that the F-pattern should be considered descriptive, not prescriptive. It’s all about giving you the highest chance of grabbing attention. The first things a visitor reads after landing on your page is your headline. This is when you need to pass the smell test. If your headline is anything less than clear, informative and compelling, you will bore or confuse your visitors into leaving. On the other hand, a well-written headline can drive your visitors to take a closer look even if it’s just text. Have you noticed how some landing pages are super long? These landing pages are called “long-form” sales letter that typically consists of a title, subtitle, bunch of paragraphs, images, testimonials and a few buy buttons on a plain-looking page that you have to scroll on and on. Think about it, if it doesn’t convert well why would there be so many long-form landing pages online? The truth is people only read what they’re interested in even if it appears to be too long! The key is to do so in an engaging way that will connect with your audience, it can even be fun and entertaining. The goal is to focus on everything you think will push them one step closer to taking your converting and nothing more. Make sure you get to the point with actionable content (tell them what to do next) that focuses more on the outcome rather than the feature. How to Create Magnetic Copy to Maximize Your Content Appeal. 7 Ways To Elevate The Perceived Value Of Your Content. If you know your customer well enough, you should know what they want. Focus on wants at the beginning not needs. Images, videos or testimonials can motivate visitors and trigger emotions. This can have a positive impact on viewers to want to read more about your product and explore the site longer. Studies have showed that people perceived websites as more “professional” or “trustworthy” when they had images of people on the site. However; you don’t want to just take any stock photos that relates to your message and load it up on your site. Instead images can be used to effectively change visitor behavior substantially. According to a study by Bunnyfoot, subtle changes such as using the right images can direct and guide the visitor’s eyes where you want them to go. I thought this was an interesting study and one that you should consider when adding images to your landing page. When using images and videos, ask yourself whether that piece of content is drawing attention away from your persuasive message or adding to it. A great tactic that you should put in practice is to integrate your copywriting with SEO (search engine optimization). SEO copywriting is a technique that tries to optimize your site around a keyphrase that can send you organic search traffic. Done right you can even turn research-intent traffic into converting traffic. The goal is to get search engine rankings for a relevant phrase around what you’re trying to rank for that can bring you “qualified” traffic. For example, if someone is looking for “men’s running shoes review” and your online store happens to have a blog with articles comparing all the latest running shoes on the market, the visitor may read the article and decide to bookmark and come back later. Or better yet, the visitor reads the article ended up buying a pair of shoes from your online store. Obviously you need to know the keywords that your audience uses in order to rank for those keywords. You can get an idea on the competitiveness of your keywords by using Google’s Keyword Tool to see what phrases are popular and the volume of searches on them globally and locally. Once you have those keywords, simply remember to use it in your content in addition to HTML areas such as the title tag, meta tags, anchor text in links, and permalinks. Here is an example of my SERP result, notice the bolded words that highlights the keywords that’s in my title and descreption. If you use a platform like WordPress (what I use), then all you have to do is install one of those All-in-One-SEO plugins and you’re set. The golden rule of any direct response marketing is to ensure you evoke a measurable, tractable response. This means constant testing of your landing page using methods such as a/b split testing or multivariate testing. You want to have variations of the page to be tested on an ongoing basis so you can improve conversion rate. A slightly more complex test, multivariate test is a process by which more than one component of a website may be tested in a live environment. It can be thought of in simple terms as numerous A/B tests performed on one page at the same time. By conducting tests on your landing page, you will be able to determine which headline is more effective or what layout works better. Here is an example case of an A/B split test that I did on my email marketing. The objective was to determine if removing the sidebar would result in a better overall performance. I also tested two different email subject line to see which one opens better. The obvious winner here is the control version. The result indicated that the new version (without sidebar) has a higher open rate compare to the control version (email with sidebar), but the conversion rate was substantially lower. Keep in mind that with testing you want to make sure you gather enough data (sample size) to ensure that your tests are statistically relevant. Well, thanks to Google, you can use their Google Analytics Content Experiments to conduct both of these tests for free! Or for more advanced folks, you can try Visual Website Optimizer, Unbounce, Monetate, or Sitespect. Checkout WhichMVT for a full list of reviews and comparisons on testing tools. And for case studies and test ideas, visit WhichTestWon. One thing that you can do to benchmark your landing page is to install Google Analytics. If you are using Google Analytics you will know that it’s an invaluable tool that’s again – totally free! By using Google Analytics you will know the sources that deliver traffic to your landing pages from pay-per-click (PPC), email marketing, social media, organic searches or even offline advertising channels. Knowing the source of your most profitable traffic is the key to increase ROI. The more detail you get with where traffic comes and goes the more clear you will see how visitors reacts to your offer. Traffic source – where are people coming from? This is your channel acquisition strategy. Visitor loyalty – How long do people stay? How many pages do they visit and how many times do they visit between two or more times. Keywords – This shows you what queries (keywords) are mapped to your landing pages that sends you traffic. This is a good indicator of what keywords your website is ranked for and how search engines interpret your content. There are so many important variables to consider when tracking your pages, you can also track clicks or heatmap on your layout and navigations via Google Analytics (In-Page Analytics section) or something like Crazy Egg, Click Density, Click Tale or Attention Wizard. Last but not least, listen and learn from your customers to make sure what you’re tracking matches to the story your data is telling you. It’s as easy as picking up the phone and call the customers yourself! If you aren’t able to do that, try conducting regular online surveys or implement some type of post-sale customer feedback system. In the era of engagement, consumers no longer separate marketing between in-store or online experience—it is the experience. Whether you’re making a sale in person or receiving a conversion online, conversion rate is the vote of confident that creates personal relationships. It is trust, likability, authority and ultimately, influence. Nothing prevents you from trying to increase your conversion rate. If you do nothing, your conversion rate will normalize over time (stays the same). However; while conversion is an important factor to the profitability of your marketing, you shouldn’t lose sight on the big picture – that’s building your brand equity. When you have brand equity, you have top-of-mind recalls. This means you command attention and your message will have a higher chance of cutting through the noise of the increasing irrelevant landscape of “push” advertising. Conversion rate will eventually reaches the point of diminishing returns – when your investment yields progressively smaller profits. That’s when you need to take your budget and put it into a higher ROI marketing vehicle. Thanks @Fran Irwin & @Bram Makonda, nice to see you guys here! 9 Keys to Increase Website Conversion Rate and Turn Visitors into Customers http://t.co/u4Y6lWO via @designdamage tools & stats included! 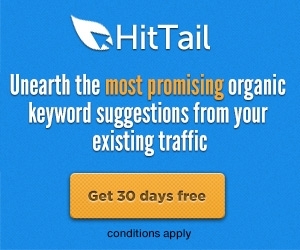 This is exactly the conversion rate optimization tips I am really looking for. I have been in front of my PC searching for information about conversion rate to increase web traffic for 2 hours already. Good thing I have found this site. Thanks so much for the input! first of all attention span should be considered when writing blog posts. this one is way too long. 2nd conversion is only after traffic. I would prefer millions of hits on my website that don’t convert over a handful that make me money. A PPC campaign should always be the last on the list for a client because most do not properly optimize their landing pages to lessen the amount they pay for each click. the Website optimizer from google is a joke. just do it yourself but nice excuse to backlink to google. the secret to the internet is entertainment and consistency not brand equity. as an executive this article is filled with vocab jargon which gives you praise, as a technician you have no idea what your talking about from the heat sensors to your beliefs on consumer behavior. your analytics strategy is a 5 at your best. the google keyword tool is not the best place to do keyword research. it lacks vital information when needed to do seo. if you base all of your ego on conversion rate your business will fail. you are not looking to convert online you are only looking to entertain and promote a brand secondarily, but of course what do I know. you should be your clients dentist, mover, music store for life which is the only reason you put money into any online venture. @Sparxx Millions of hit that don’t convert is a total waste of time, money, and resources. The article focuses on not just traffic but also landing page optimization. We’ve been using Google Website Optimizer for Fortune 500 clients so I wouldn’t say it’s a joke especially it’s free compare to some of the vendors out there. There is only 2 ways to increase performance – increase traffic (like you said) or increase Conversion Rate. Why not increase the quality of both? Hi Eric. This post is so informative. Thank you for the info on F pattern eye tracking. We are a very new company, with high quality products. The main problem for us appears to be the message and subsquent conversion. But where to start first? You are truly a good webmaster. The website loading speed is incredible. It seems that you are doing any distinctive trick. In addition, The contents are masterwork. you’ve done a fantastic task on this matter! Fab, fab, fab! Given me lots of food for thought…. Thanks very much. Insightful article…Thanks to Miller’s magic number, we know people can remember only 7 plus or minus 2 objects in their immediate memory so don’t overload a site with too many buttons. i think knowing your audience is the best part if you know that what your audience want from you then you will able to get lots of new traffic from Organic search…. Nicely written. I agree however with Eric that you need both traffic and conversions. @designdamage FYI, http://t.co/DNl2tFtn says “Account Suspended”. I’m hoping to reference this solid article @SmallBusinessBC tomorrow.